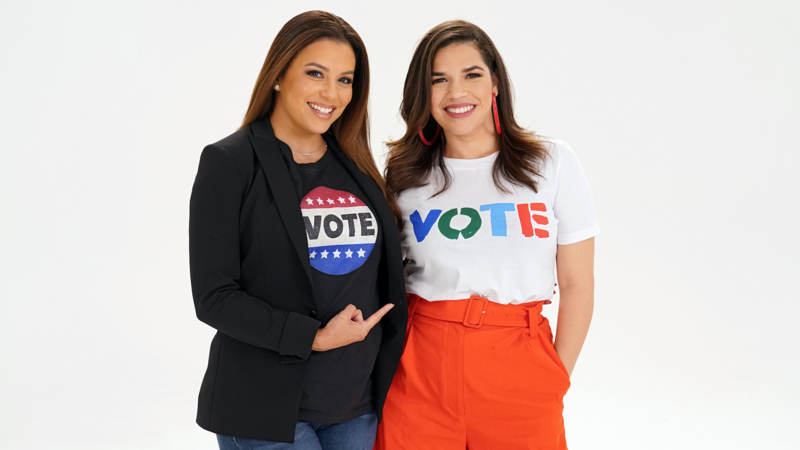 Many public figures (including celebrities) have mobilized in recent weeks to remind people how voting can affect change. And in addition to talking the talk, they are walking the walk. Proof? All of these beautiful post-voting selfies complete with “I Voted” stickers, of course. Actor Zendaya shared a video on Instagram of herself doing what could possibly be described as a happy dance with her sticker. Rocking a “Never the less, she voted” T-shirt the day before the midterms, actor Zooey Deschanel made her intent to vote abundantly clear. SJP wore her voting heart on her sleeve — quite literally. The actor posted a video on her Instagram feed showing an “I am a voter” pin attached to a white sweatshirt with the same phrase written along the front and down the sleeve. In the caption, she vowed “neither snow nor rain” would keep her from the polling place. Blake Lively and Ryan Reynolds celebrated his birthday in late October with a voting party. The pair posted pics on social media showing off their absentee ballots. JT shared his voting selfie on Saturday when he mailed in his absentee ballot and took the time to caution against (illegal!) voting booth selfies. Actor Jada Pinkett Smith always looks fierce — even when, or perhaps especially because, she slaps an “I Voted” sticker on her forehead. Comedian Amy Schumer has been honest about the difficulties of her first pregnancy, but nothing (including bad weather) could keep her from casting her vote. You go, mama! Actor Yara Shahidi couldn’t contain her excitement heading into the polling station, and one can only hope that enthusiasm spread like wildfire among her fans. The Will & Grace actor voted and in a video posted to Instagram shared an impassioned explanation about why. For good measure, she also shared photos of two of her Will & Grace colleagues, actor Eric McCormack and director James Burrows, with their “I Voted” stickers. Nick Jonas took a break from all his pre-wedding-to-Priyanka Chopra shenanigans in order to say I do to the democratic process. You know Olivia Benson does her civic duty, y’all! SVU's Mariska Hargitay exercised her right in rainy weather-wear, a cozy oversize sweater. "Today’s the day y’all! Let’s get to the polls and make history. Make your voice heard today and vote!" Eva Longoria captioned her selfie.